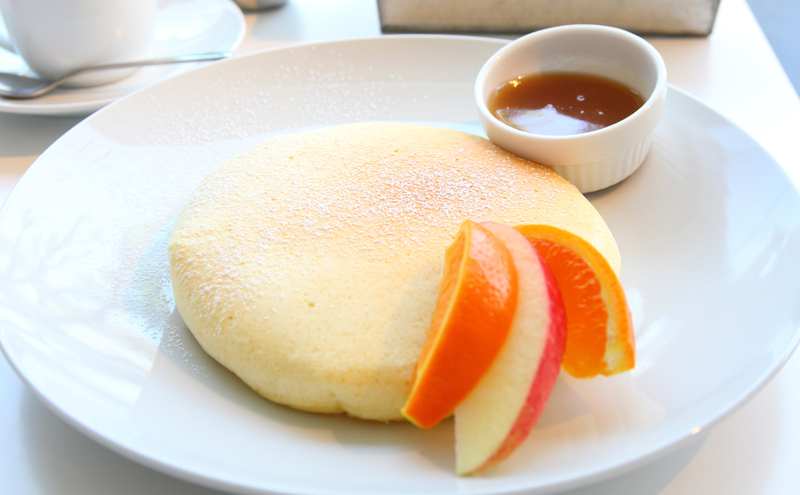 If you ask a Tokyoite, 2013 has been the year of the pancake. 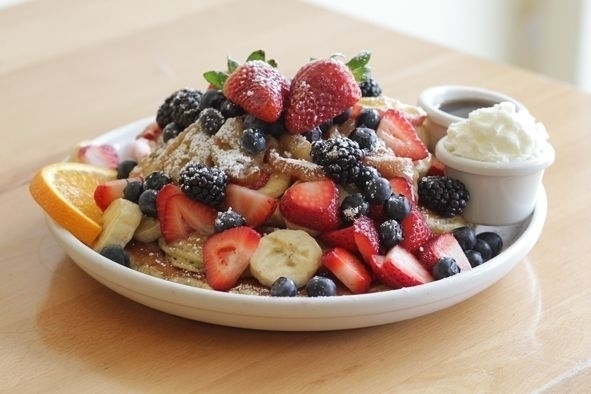 No other culinary trend gripped the city as comprehensively as the American-inspired golden goodie: led by Portland's Original Pancake House, new shops popped up like mushrooms after a rain, and a fierce competition to come up with the most imaginative topping combinations began. 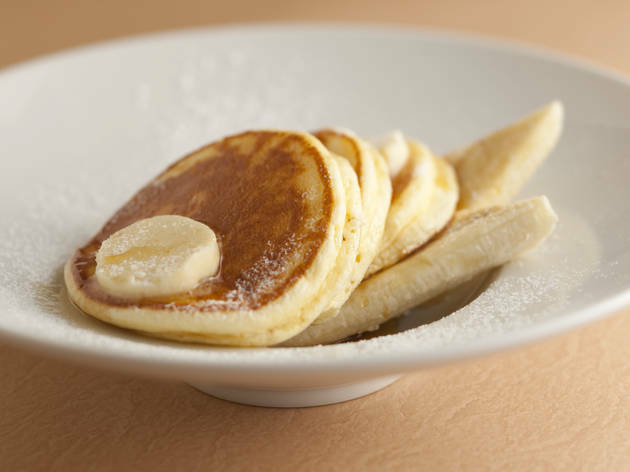 Pancakes also appeared on the dessert menus of restaurants across the spectrum, often with predictably unfortunate results. Speciality eateries remain the place to go for the best tastes, but although the queues aren't as long as they were in summer, be prepared to wait (particularly on the weekends). 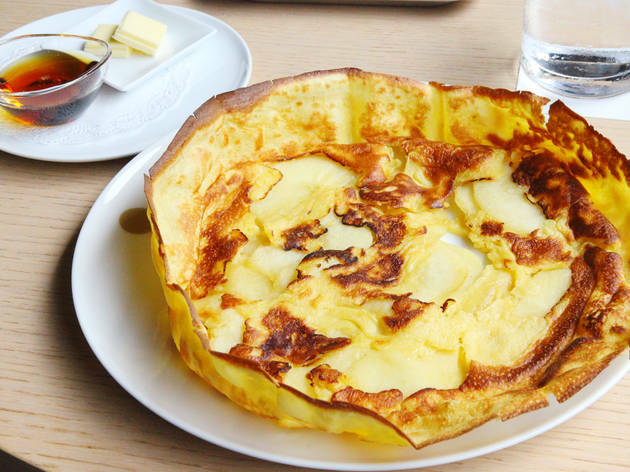 Here's our definitive list of 20 proficient pancake joints, ranging from imports directly from the New World to domestic Japanese concoctions. And if you start craving a cup of Joe after all that sugary goodness, check out our guide to the best coffee in Tokyo. 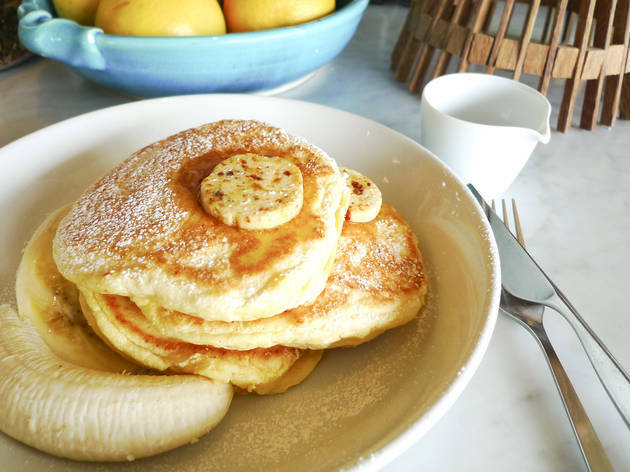 Part of Australian supremo Bill Granger's breakfast empire, Bills Omotesando is always massively crowded and somewhat on the pricey side. 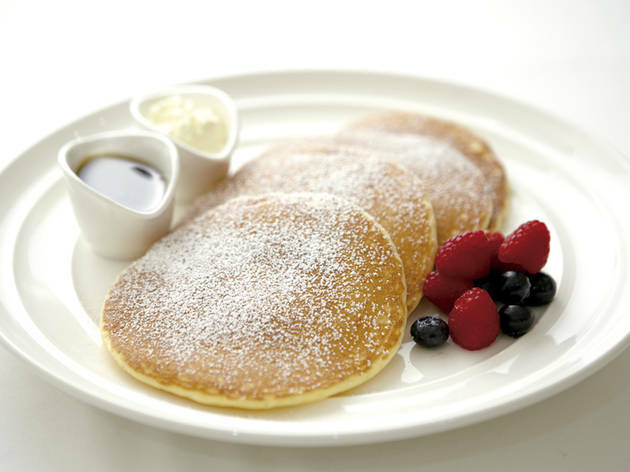 Nonetheless, the exquisitely fluffy ricotta pancakes, mouth-wateringly covered with honey, are difficult to pass up on. 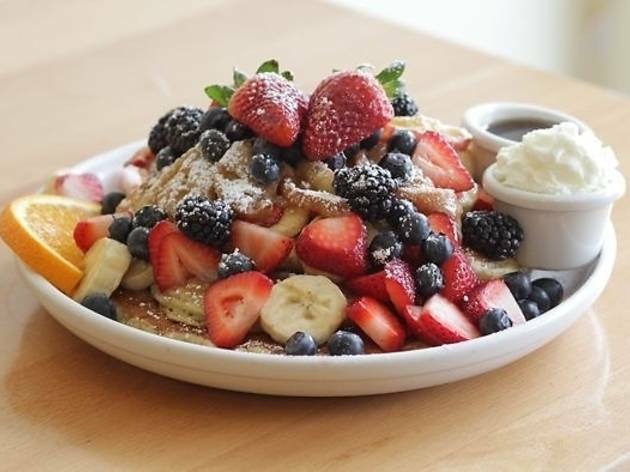 Portland's Slappy Cakes rules the roost in the cook-your-own-pancake category. 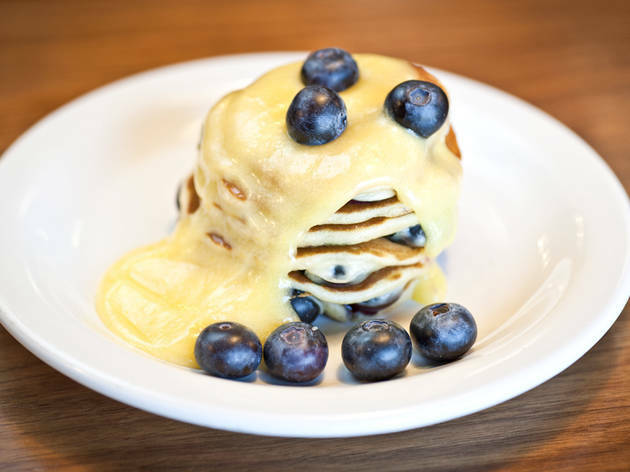 The toppings include a delicious lemon curd, which goes perfectly with the sweet blueberries that are so popular here. This shop is the pride of Oahu, and remains very popular with Japanese tourists. 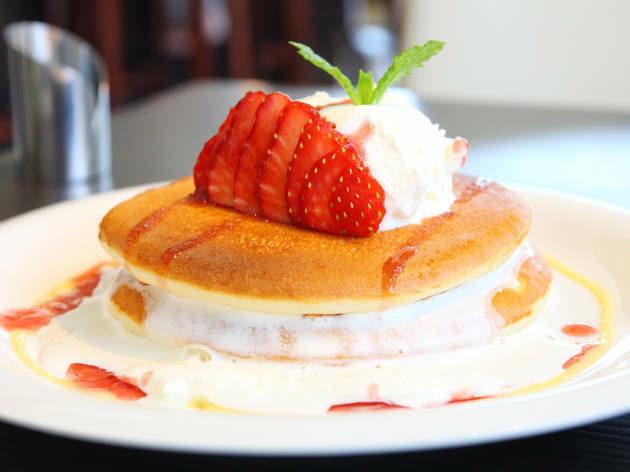 The Harajuku branch is always crowded too, with fans going for the plate topped with macadamia nuts and a tower of strawberry whipped cream. 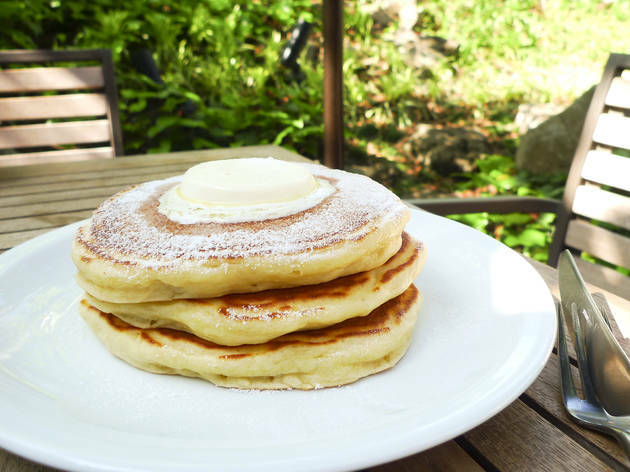 Another Hawaiian import, this Omotesando café remains the best choice for a no-holds-barred pancake feast. Try the 'Original', a sugar high-inducing pile of goodness complete with all the toppings on offer (¥2,000). 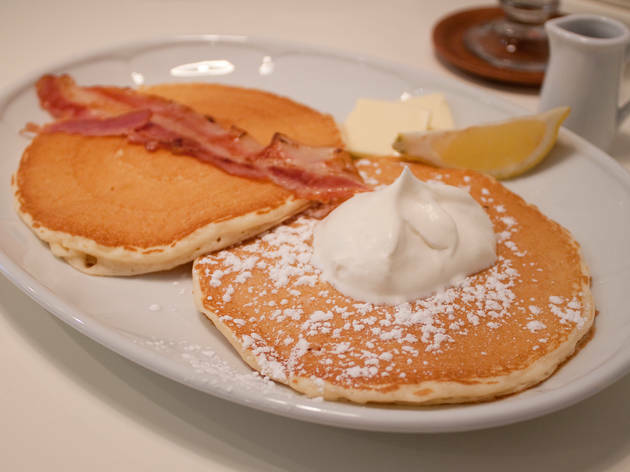 Famous for its eggs benedict, this branch of the renowned New York breakfast eatery serves a mean plate of lemon and ricotta pancakes (¥1,400). 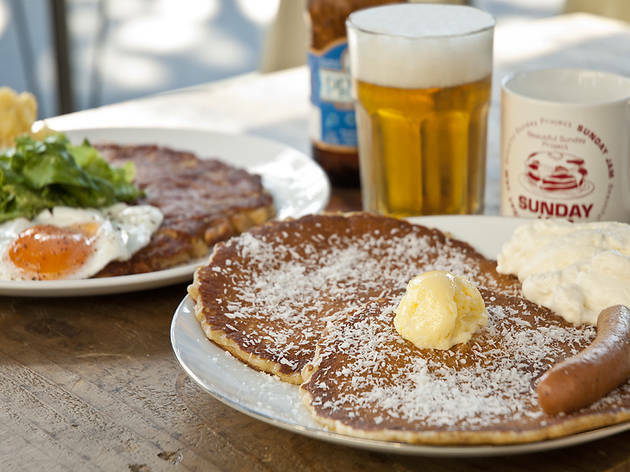 This is the place for a slightly upscale pancake, if that's the kind of excuse you're looking for. This brunch spot originates in NY's Tribeca, and faithfully maintains American sizing on their portions. 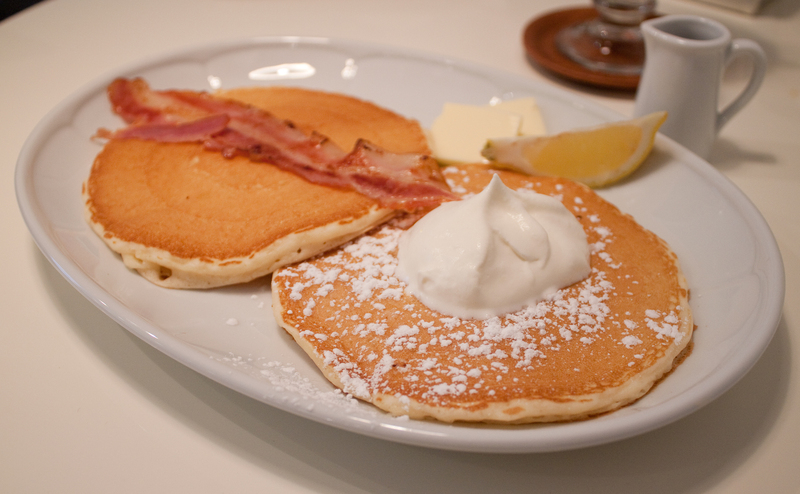 The sour cream pancakes are highly recommended, and there's no need to be conservative with the maple syrup. 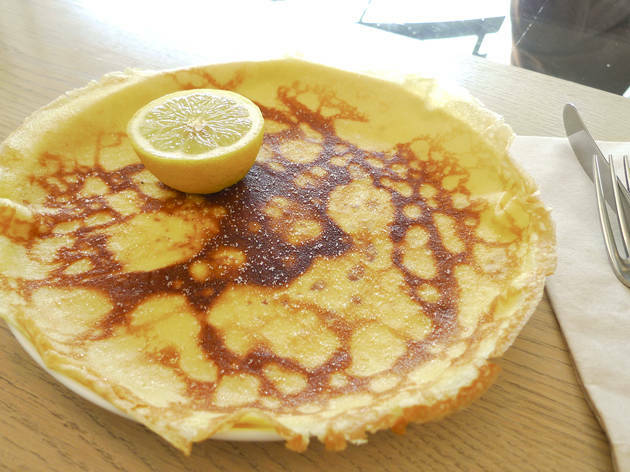 The natural creations of this award-winning organic brand include the sugar- and lemon-topped 'English pancake', a thinner and less overwhelming treat than its American cousins. That also means you can fit more than one. 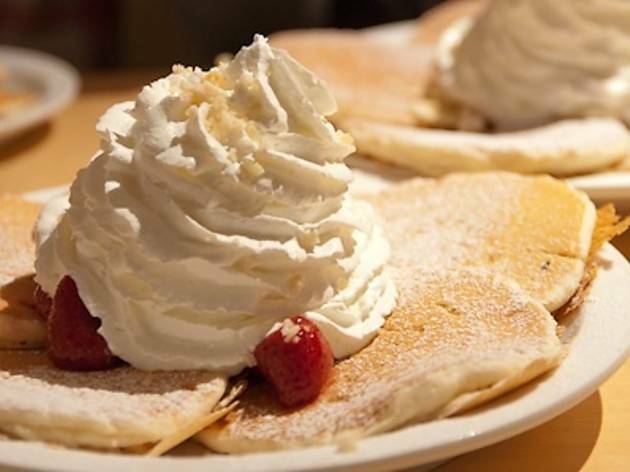 This Osaka-born pancake house uses only the highest quality butter, and the difference can actually be tasted. 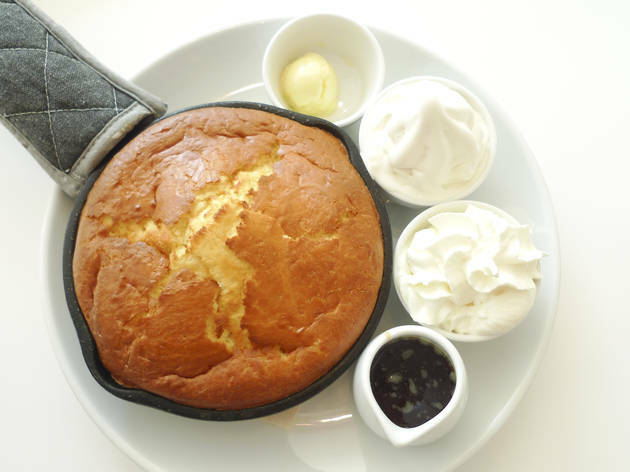 Served straight off miniature iron skillets and topped with ice cream, it's hard to beat the freshness of these 'cakes. 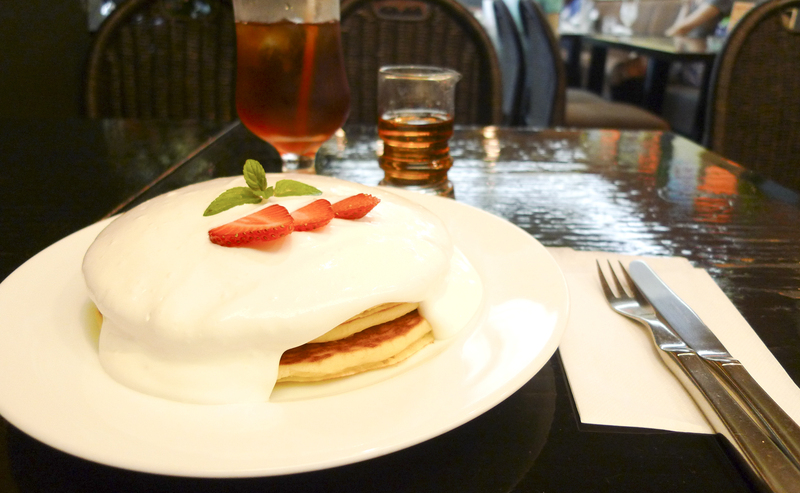 This speciality shop is associated with the Piece of Cake café, and relies on simplicity above all. 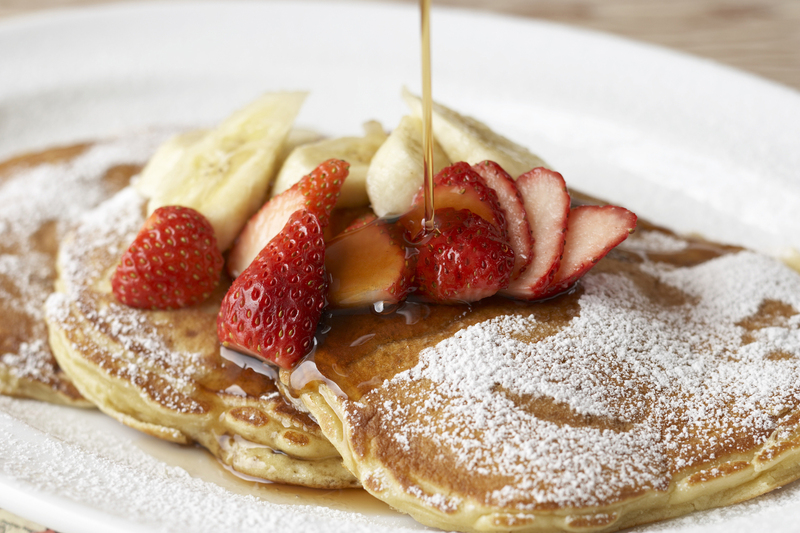 You won't find any additives here, and the flavours are very straightforward. 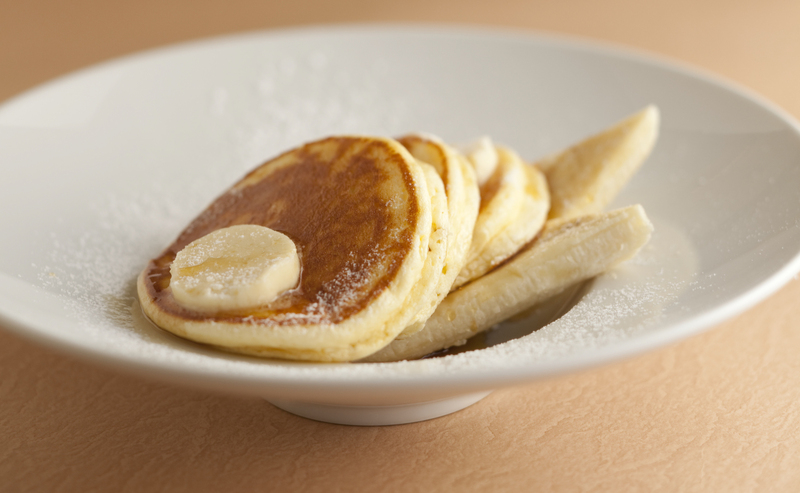 Home cookers can also pick up packs of Apoc's original pancake mix. This hideout attracts queues even on weekdays. 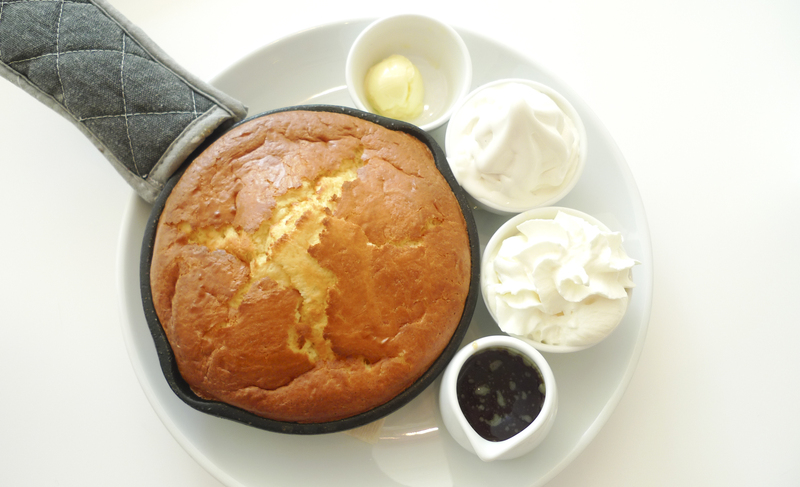 The menu has a lot of variety, with both sweet and salty options available. 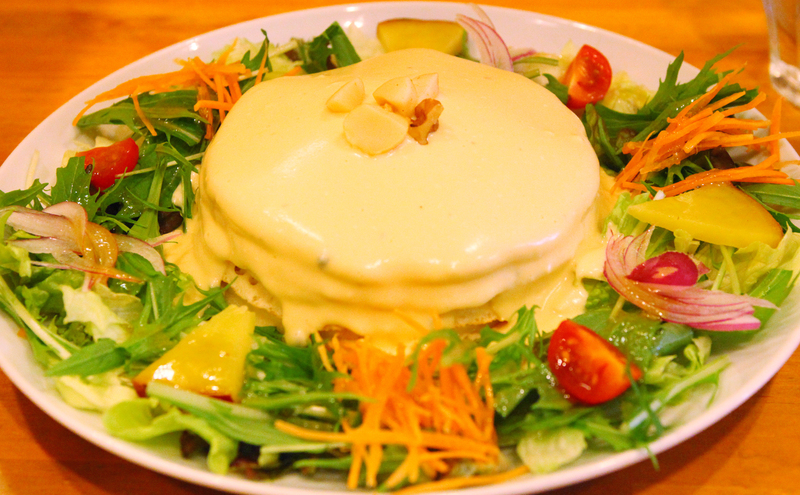 The 'Four Cheeses Fondue Pancake' (¥1,050), generously topped with veggies, is a great meal option. 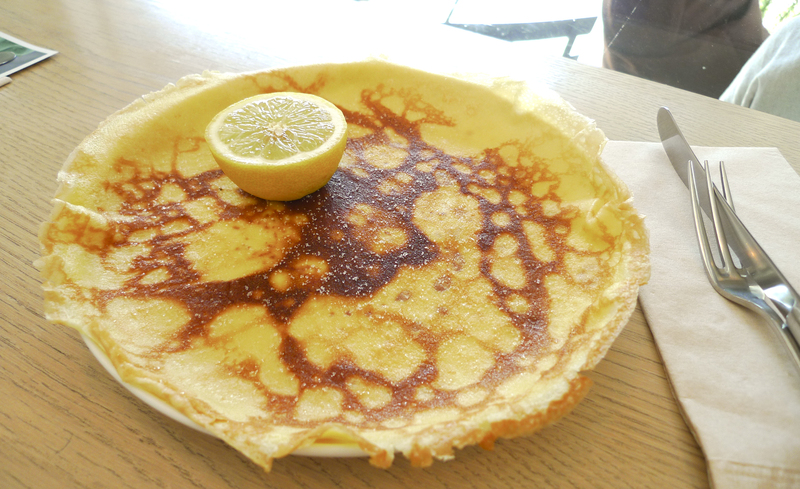 The Zushi location is only open on Sundays, but the Harajuku branch serves well-cooked, thin pancakes every day of the week. 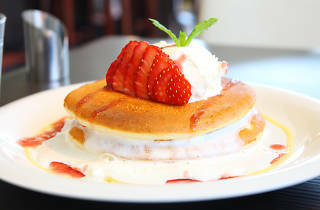 The macadamia-flavoured 'Honolulu Pancake' (¥1,300) is a sweet highlight, but the meal-type 'cakes are equally delicious. 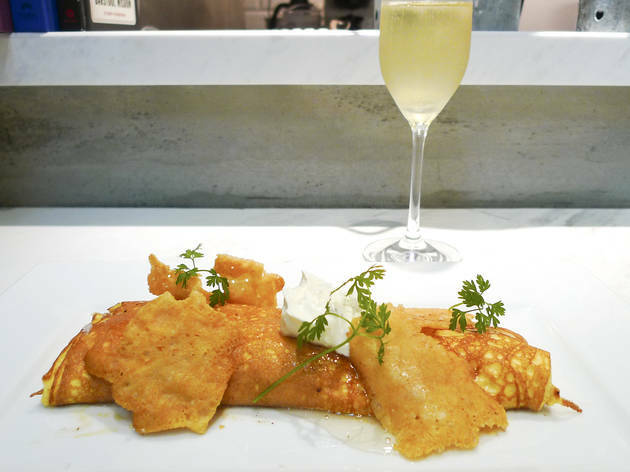 The fancy-pants pancakes at this specialty sweets shop go perfectly with maple syrup, but never feel too heavy or overly sweet. Fluff lovers will appreciate the ricotta-topped varieties. 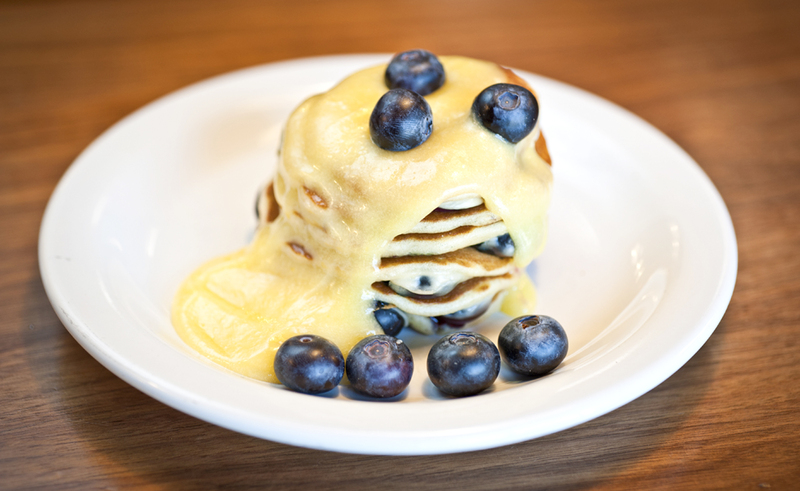 The outside may be crispy, but the inside is just ridiculously soft. 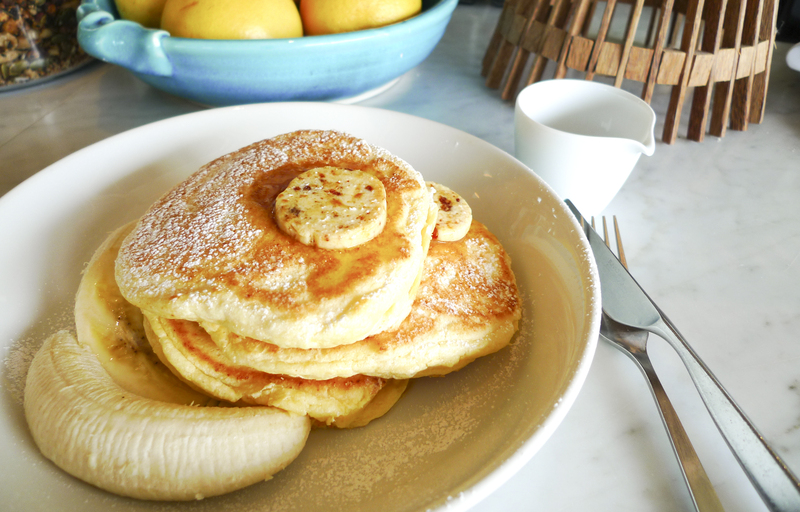 The secret to these rare pancakes is in the batter, which consists of a mix of regular and rice flour. 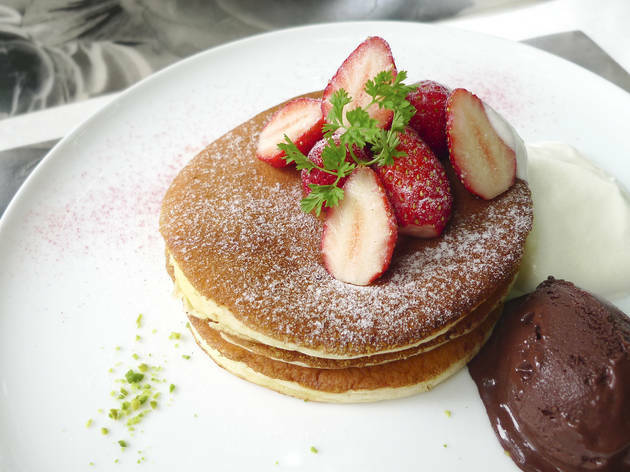 Try the voluminous strawberry and cream-topped 'cakes (¥945). 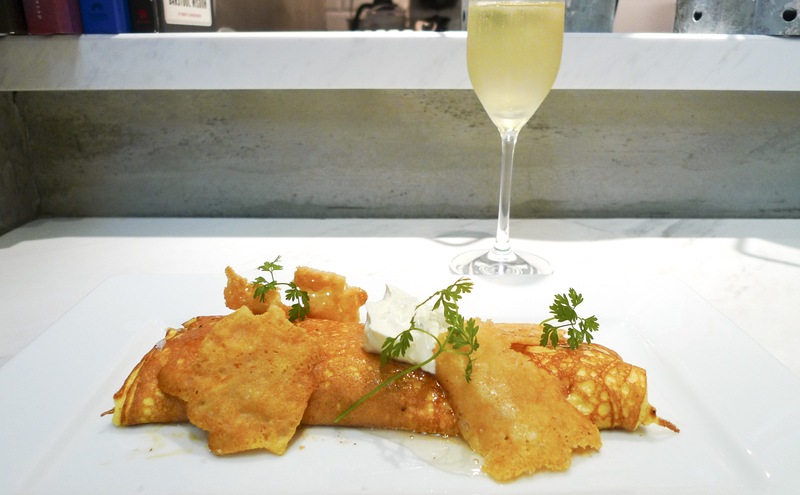 This coffee shop inside Hotel New Otani has a reputation for excellence, and the 'Special Pancakes' (¥1,800) certainly fit the luxe category - you'll know when you taste them. Three different kinds of maple syrup(!) are also provided. 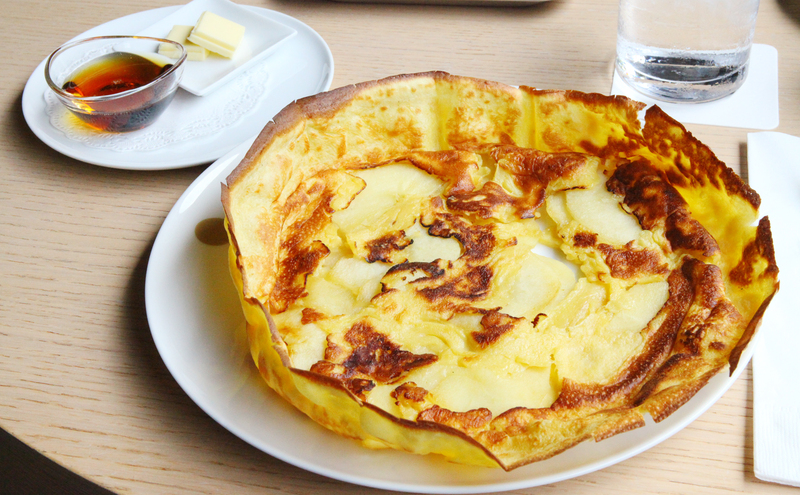 The 'German Apple Cake (¥1,155) is why people keep coming back to Origami. 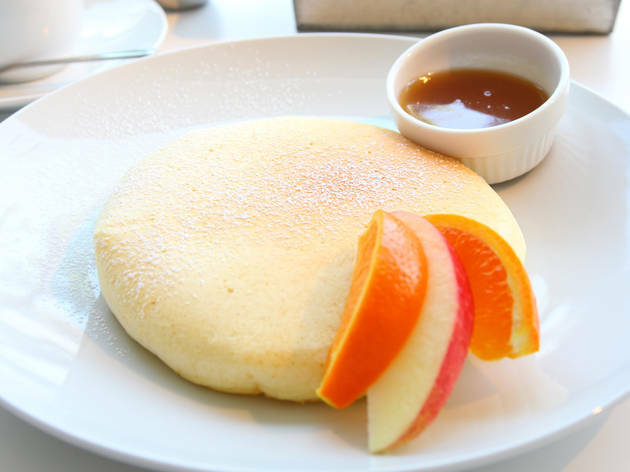 These thin pancakes, topped with delicious apples and syrup, are the signature dish of the Capitol Tokyu hotel, and shouldn't be missed by anyone. 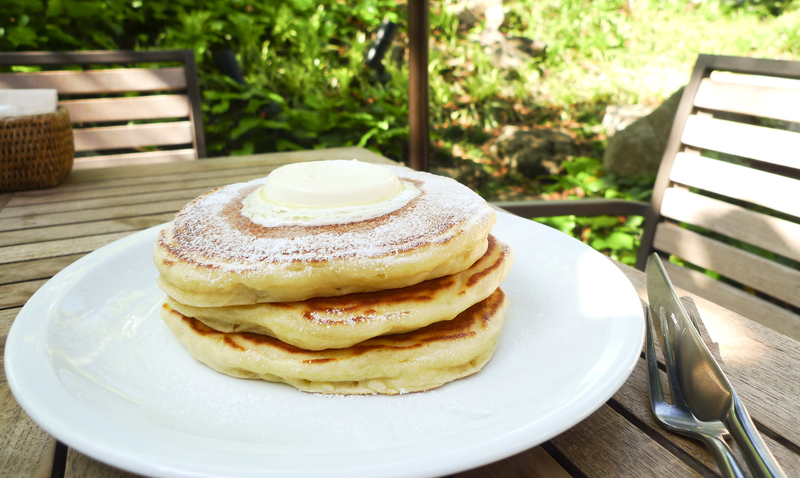 The pancakes here are simple yet delicious, but the real attraction is the spacious terrace, which is perfect for a quick morning bite during the warm months. 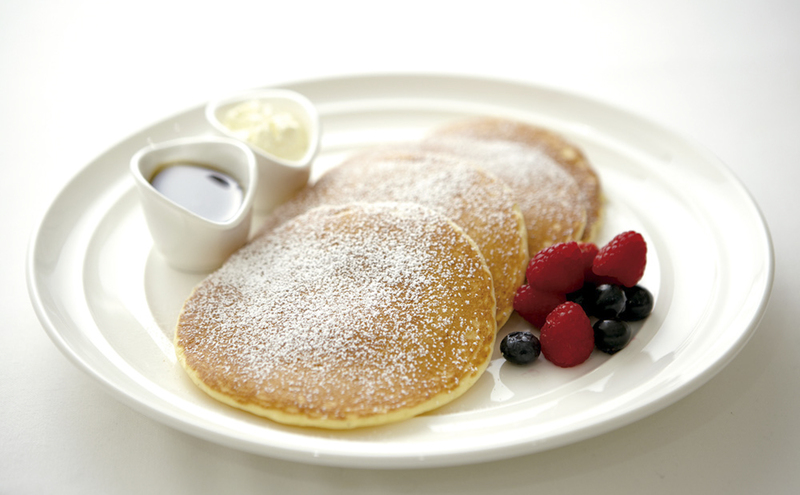 Evade the crowds and get your pancake fix from 7am on weekday mornings. 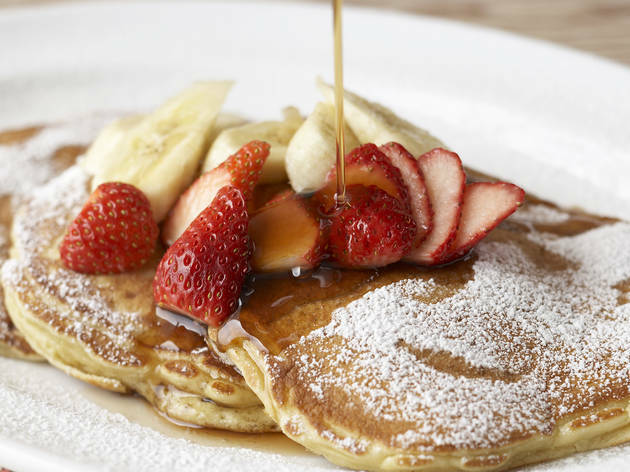 This Omotesando classic is best known for its sandwiches, but the pancakes are woefully underappreciated. 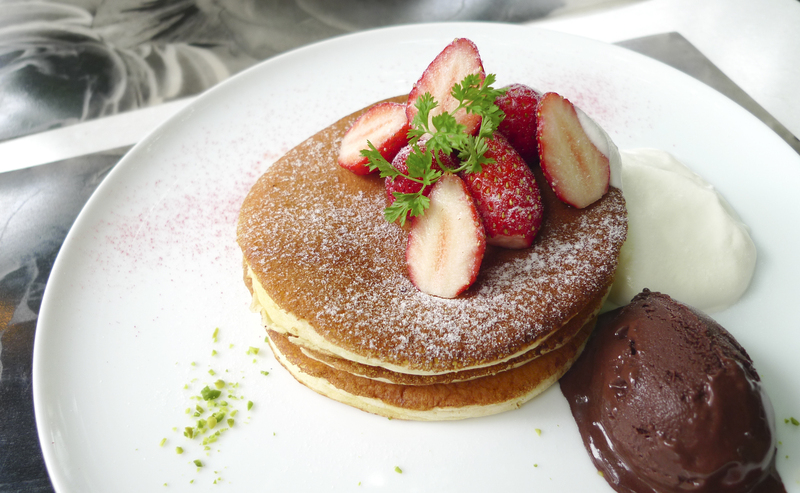 The spongy texture of the cakes may divide opinions, but the topping combinations are simply perfect. 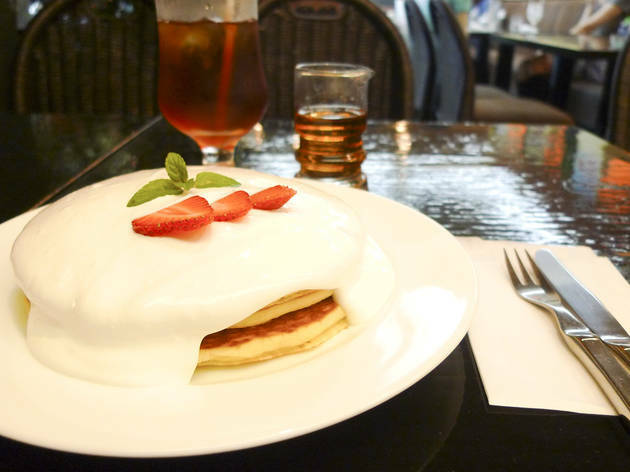 This retro-style café is located underground in the Nishiginza department store, but don't let the location fool you: the 'Snow White' pancakes (¥1,000), topped with a special cream mix, are some of the best in Ginza. 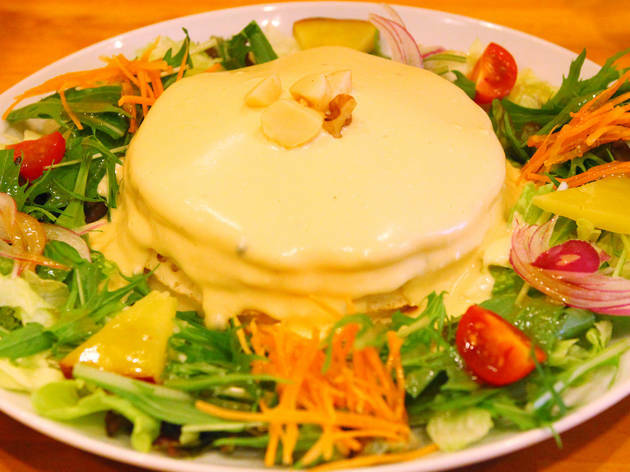 The soufflé pancakes here are exquisitely soft, and go perfectly with cheese toppings and truffle-flavoured honey. Take in the classy atmosphere, and top off your experience with a glass (or two!) of champagne.